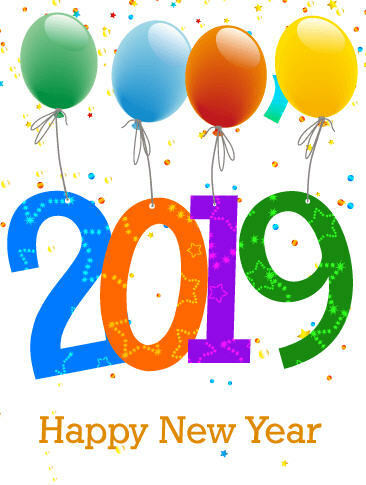 May you all find peace, prosperity, health, and happiness in 2019. Bruce I. Jacobs’ Too Smart for Our Own Good: Ingenious Investment Strategies, Illusions of Safety, and Market Crashes (McGraw-Hill, 2018) attempts to identify the common causes of financial crises since the 1980s. Jacobs, the co-founder of Jacobs Levy Equity Management and its co-chief investment officer and co-director of research, believes that underlying all of these crises have been “free lunch” products that, in turn, have their roots in the Black-Scholes-Merton option pricing model. Jacobs does not argue against option, arbitrage, and securitization strategies in general. He recognizes that they can play a useful role in portfolios. He also recognizes that the crash-inducing strategies and products of the future will be different from those that caused problems in the past. He remains convinced, however, that they will share the same fundamental characteristics. Forewarned is forearmed. Another year, another idiosyncratic list of what I consider to be the best books I reviewed this year, with links to my reviews. Howard Schilit, Financial Shenanigans, 4th ed. Delivering Alpha: Lessons from 30 Years of Outperforming Investment Benchmarks (McGraw-Hill, 2019) by Hilda Ochoa-Brillembourg is written for “any finance professional who wants to know how to add sustainable value to globally diversified institutional portfolios beyond what’s learned in textbooks.” The author, after an 11-year stint at the World Bank as chief investment officer of its Pension Investment Division, was the lead founder of Strategic Investment Group in 1987 and continues to serve as its chairman. Since its founding, Strategic has outperformed its benchmarks more than 75% of the time on a rolling three-year basis with less volatility than the benchmarks. Delivering Alpha is brimming with the kind of practical wisdom that comes from years of experience in the trenches. Money managers of all stripes will profit from reading it. Twenty years of research inform The Fearless Organization: Creating Psychological Safety in the Workplace for Learning, Innovation, and Growth (Wiley, 2019) by Amy C. Edmondson, a professor at the Harvard Business School. Although by now most managers know, at least in theory, that they should provide an environment in which workers at all levels can share their ideas—and mistakes—without the fear of belittlement or reprisal, not enough managers know how to put this into practice. A 2017 Gallup poll found that only 3 in 10 employees strongly agreed with the statement that their opinions count at work. Edmondson’s work bridges this gap between theory and practice. With findings from academic research and case studies from a wide range of workplace settings, she explains how to build an organization in which learning, innovation, and growth can flourish.